Just a quick note, on Tibb's Eve, to wish you all a very Merry Christmas, and a Happy New Year! This past year has been a good one. We have a wonderful life, and we are enjoying every precious moment with our beautiful babies. Brennen just loves being a big brother to these two. We don't know what the future holds, but we know that our family will be their family, and our home will be their home for as long as they need us. We are pouring everything we have into these children. We're giving it all we've got - our time, our creative energy and our nurturing hearts. This Christmas, we have so much to be thankful for, and a million things to be happy about. This is us, and life is good! 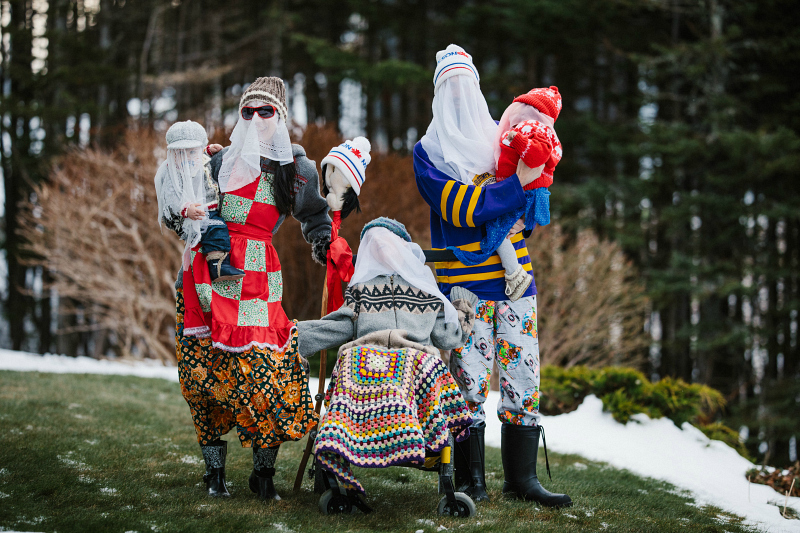 It's been hard for us not to share photos of our little ones, but dressing up as Mummers was the perfect way to do it! Please God, we will see you next year."